We've been hard at work in 2018 improving Trailforks with new features and refinements along with fixing many bugs. Over 900 GIT code commits for the website and 250 for the mobile app. While we spend a lot of development time fixing bugs, tweaking backend systems to be more efficient, changing queries to be faster, and other boring stuff. But we have also added a lot of new features this year! Fall and winter is typically when we tackle the big development tasks, so you can look forward to more updates coming this year and before spring 2019. 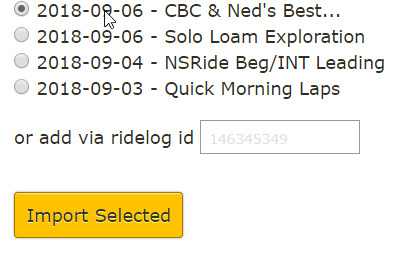 • New Ridelog feed page, showing details about your friends rides. 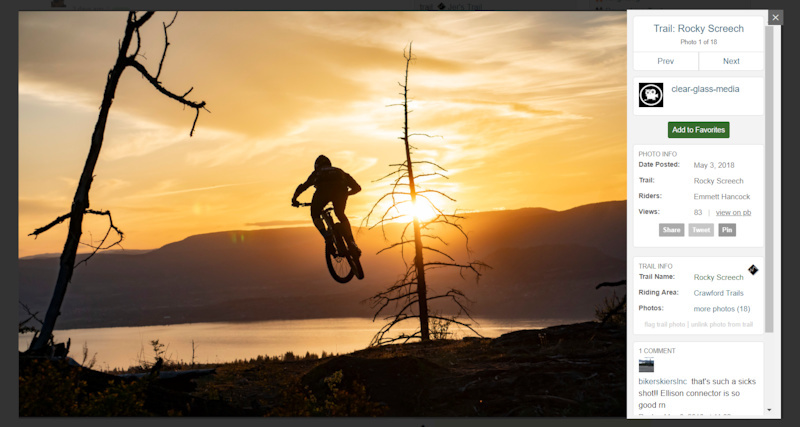 • View photos on Trailforks with the new photo viewer popup. • Riding area weather forecast map. Includes webcams, radar and links to weather services. • Auto Disable leaderboards for trails 200 in length. 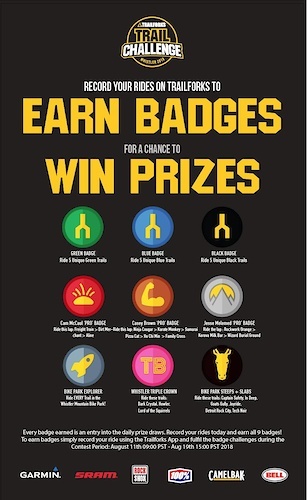 • Trailforks contests & badges to unlock via Ridelogs. • YouTube videos promoted to top of lists. • Ride Start Heatmap tool for region admins. • Ride Finder. Provides a fast visual way to discover & filter rides in an area of the map. • New modern photo & video upload pages, no more flash! • Landowners map layer powered by a Google Fusion table. 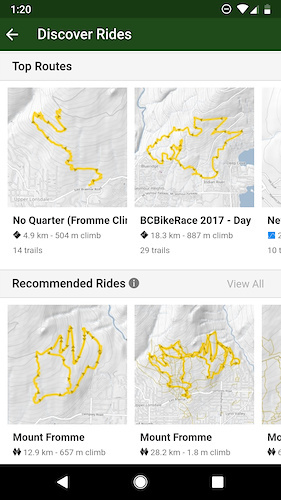 • Show riding area and descent total in synced Strava activity descriptions. 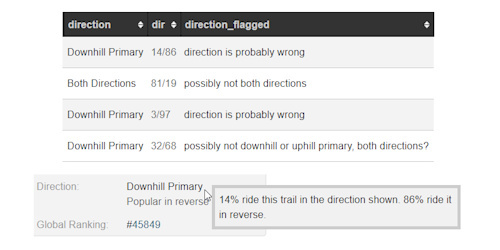 • Change how filtering trails on map works. Instead of hiding trails, trails are greyed out. • Ebike map filter. ebike landing page. • Display region ebike policy. • Personal privacy zone option on Ridelogs. 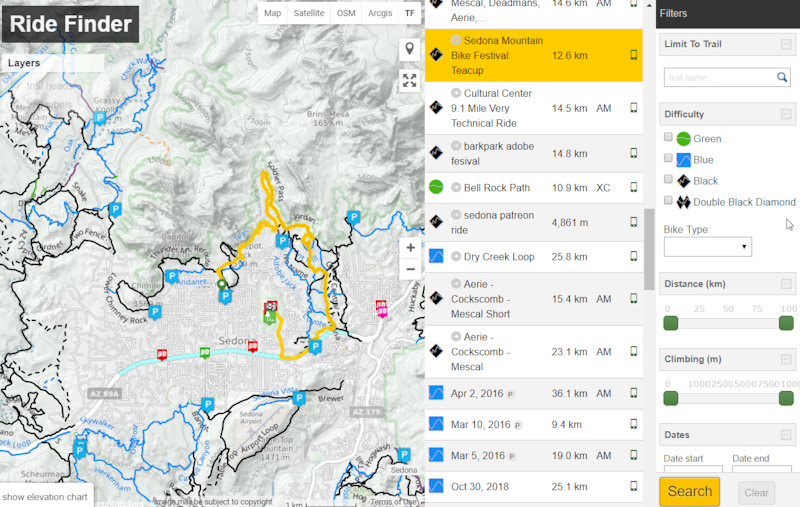 • Trail work report tool with chart and export to spreadsheet. 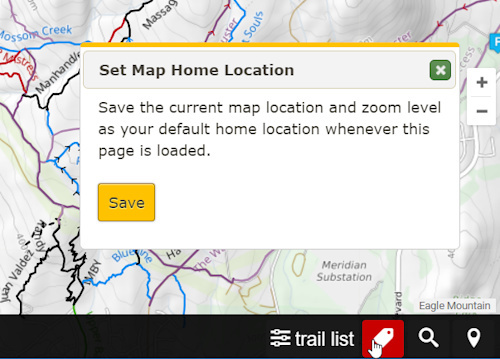 • Add a save home to fullscreen map and trail search. • Show sections on route 3D tour. Fix playback speed. • Custom ridelog preview images with trail & topo map in background. Used for friend feed and when you share a ridelog on social media. • Show different sized region markers on map based on popularity. Some are removed at zoom levels all together. • Regional status. An average of all the status reports from the trails in the region. • Admin option to manually control/toggle the region status of riding areas in your region. • Per-region option to enable trail status approval from reports. • Trail difficulty rating by users. • Filter conditions map by update Time/Date. • Group labels beside usernames clickable, shows group details. • US State Epics & Trailforks Gold route lists. • Trail Work Photo Feed. • Option to delete Trailforks account and all data. • Ridelog matching on routes. Route leaderboards. 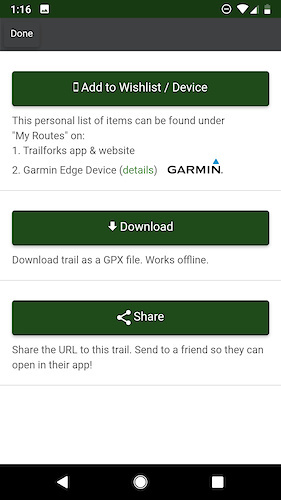 • Info on downloading a trail or route to Garmin Edge app. • Better sorting of photos on trail & region pages to show better photos first. • "My Routes" page to view & manage routes sycned to the app. • Download Garmin.FIT course files for trails & routes. • Region list widget. Region status widget. • Update ridelog title and privacy if updated on Strava. • Aggregate Trailforks Report Notification Emails. 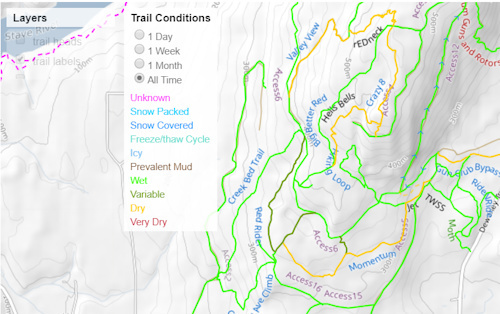 • Print Map Tool, winter & planned trail filters. • Ridelog stat for avg rides per year by locals and visitors. • Show Current region name in corner of map. • Improved Ridelog trail matching. Total rewrite of this code, more accurate now and better handles riding the same trail multiple times and different directions. 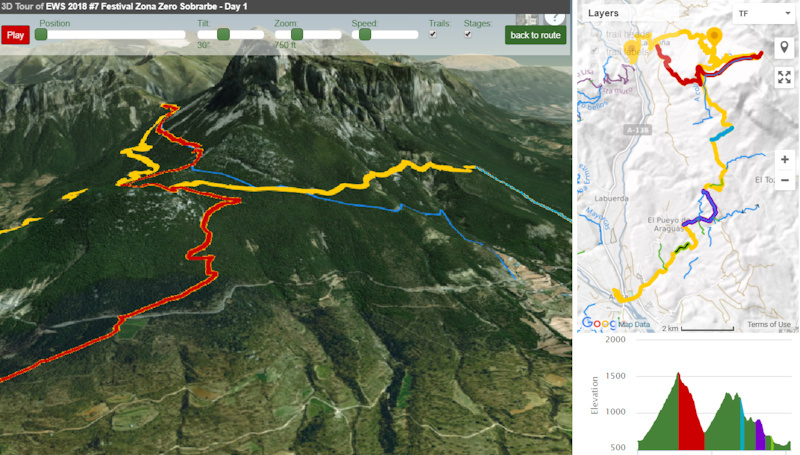 • Click ridelog matched trails distance to view the matched segment on the map. • Detect chairlifts taken in a Ridelog. Show all the chairlift laps with timing. Show shuttle and lifts on elevation chart. • Subtract distance and climb of chairlifts from Ridelog totals. • View total lifts taken in a year on friends leaderboard page. • POI detail page, POI photo, add report to POI. • Bike shop details page. • Save trail or route as GPX file. • View recommend rides on Discover page. Recommended based on your Ridelog history. • Discover rides page improvements. Better trail images, don't refresh on small map changes. • Track paid hours on work reports. 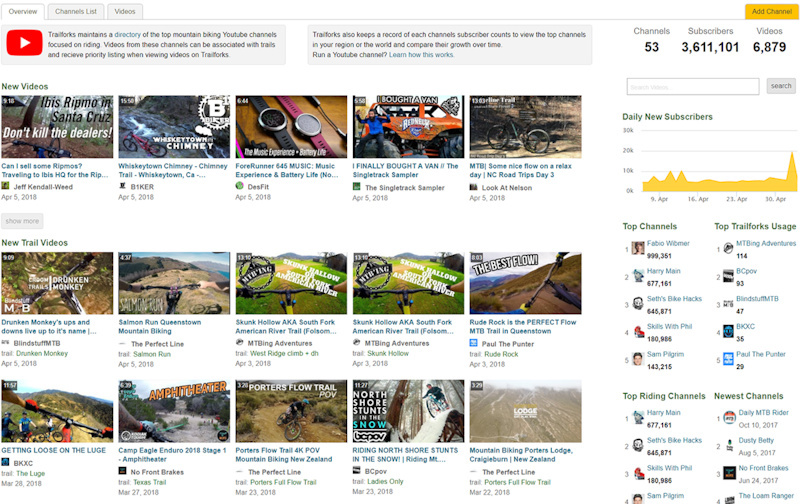 • Youtuber videos promoted to start of trail videos. • Major overhaul to GPS tracking feature. • Save to Garmin button on trails and routes. • Push notification support added. • Contests listing page and popup. • Delete ridelog with left swipe. • Create new account from within app. • Trail preferred direction detail. • Connect Strava account within the app. • Longpress trail titles or descriptions to translate or copy text. • Photos retain GPS EXIF data. • Cache last known location for emergency page. • New fancier app information website. 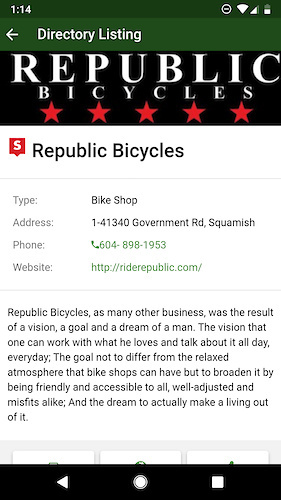 • Auto-resume ride recording if app or phone crashes on Android. • Delete reports from upload queue, swipe left. • Detect trails with overlapping GPS points, flag for moderators. • 2 coloured ridelog heatmap, showing more recent rides in cyan. • Add trail from cropping a Ridelog. • Option to delete bounding polygon on region edit page. • Override trail association on routes. • Bikepacking option on routes. • Closed & archive option for skillpark. • Allow trails to be excluded from a region trail inventory statistics. • Add Gravel Grinder Event Race Type. 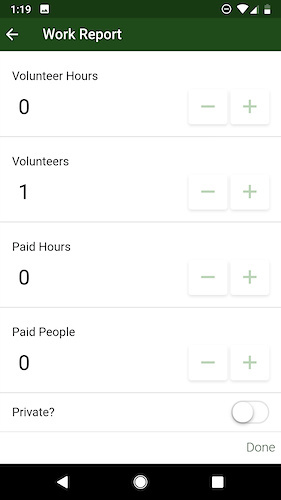 • Reports can track volunteer hours and staff hours separate. • POI 'aMTB Accessible' option. • Add POI location from uploaded photo with GPS exif data. • Manual input of report & POI GPS location. • Per Trail manual override for trail association associated. • Winter date range field on regions. • Check when adding trail to see if its far away from its assigned region. • Detect trails that overlap fully or partially other trails, flag for moderators. • Trail cover photo voting tool. • Send event author email 2 weeks prior if race event has no route attached. • Clear trail 'wrong direction' flag. • Route 'race date' field if not linked to an event. 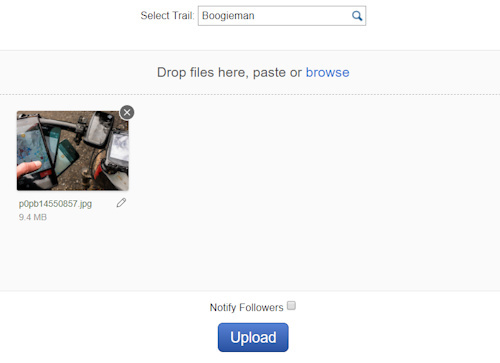 • Upload a photo with location data and identify trail the photo was taken on. • Add supported routes to supporter page. • Make contribute forms more mobile friendly. • Per-trail trail association setting. • Allow admins to leave a note on unconfirmed trails. • Queue system for trail label tile updates with logging. • Function to manual refresh of map tiles in an area. • Major improvements to routing network update queue system. 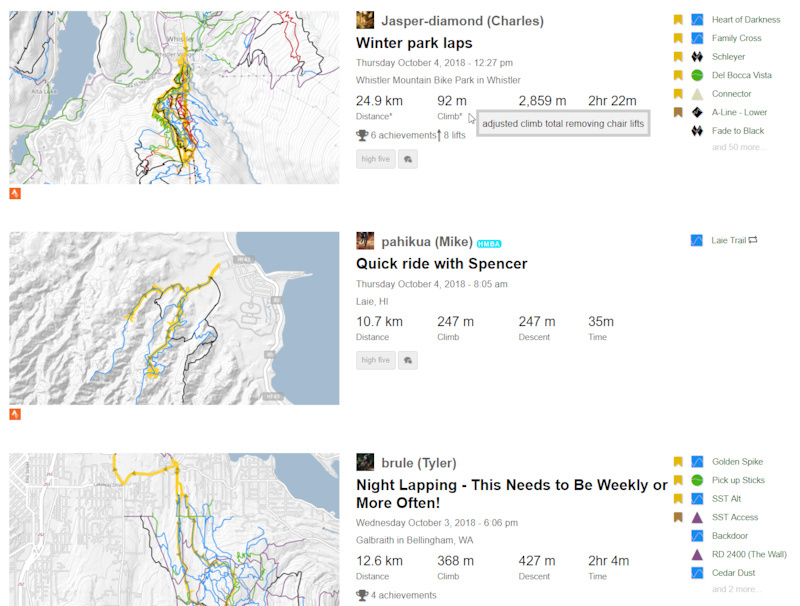 • Get users Strava activities by PUSH API. Better Strava import queue system. • In-house elevation service (still not in use for most things). • Calculate a ridelog & routes 'trail popularity score'. Used for helping suggest rides. • Ridelog data now stored as compressed JSON files rather than in database. And many more small things including numerous bug fixes. Many reported by users via our support forums or email. Follow us on Facebook and Instagram to keep updated on new features. Thanks Trailforks You make our mtb lives that little bit easier. Great job! Yah man got me back to the car on many exploratory rides where I went too far! Great work Trevor, Radek, Brent, Todd and everyone else involved! Trailforks is one of the best ever things to happen to mountain biking and I appreciate the support as a mountain bike YouTuber too. So many updates! What i miss however is the ability to use other variants of topomaps for better navigation, and maybe selective high resolution map download for offline usage. This would make trailforks a standalone trail riding app. We've been working on the pieces to make this happen this year. Hopefully will be ready for the 2019 riding season (spring). @canadaka: any chance we'll see a trail update? For example the trail 'Grinch Toes' doesn't show on the map. @ModularSynth: That is up to SORCA, it's been on our 'hidden' map for years. I've emailed SORCA about that trail in the past, but we ultimately try and let the local trail association make the decision of which trails are shown publicly and when. But sometimes they just forget! So you could always remind them I do believe it is actually a legal trail with a permit now, I could be wrong though. This would be awesome. 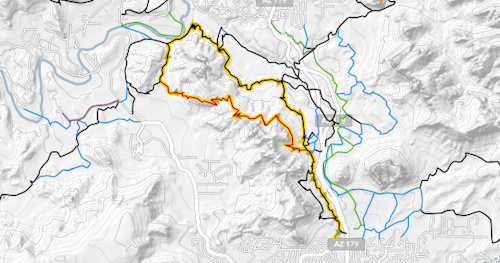 There are so many good maps available out there that could enhance the trail forks experience. I use a map and planning tool for flight and mission planning, and this feature alone is invaluable. @canadaka: Maybe in the future there's possibility to use Mapsforge as a Google alternative?I understand there's a lack of iOS support but for the Android users its probably the best alternative. Like the ones you have (for free) from OpenAndromaps. They are relative small in size. @canadaka: That would be so cool. 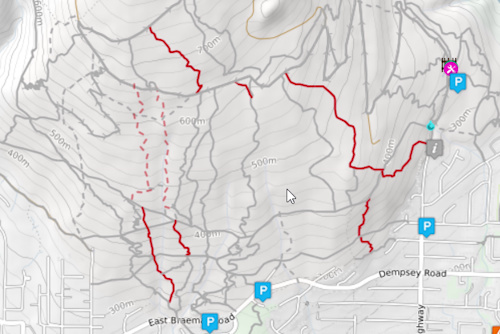 Trailforks is such a cool app but the mobile version does lack general trail detail on the OSM mapping. The website version has the trail detail. 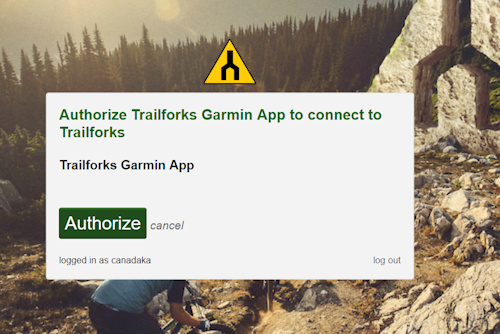 This can make it a little tricky linking up trails when your out there exploring without opening up other apps. @canadaka: maybe someone can help you with the German on Trailforks? It all reads a little bit like googletranslate. thank you trailforks. best app. i hate when legit riders use mtb project, not even kidding. curious, what's the beef on mtb project? i feel like they both supplement each other nicely so I use both. @rocky-mtn-gman: truthfully, i'm an opinionated piece of work that finds trailforks much more intuitive. also truthfully, i like that trailforks comes from the mtb community. i love REI, but i don't consider it a part of our community. 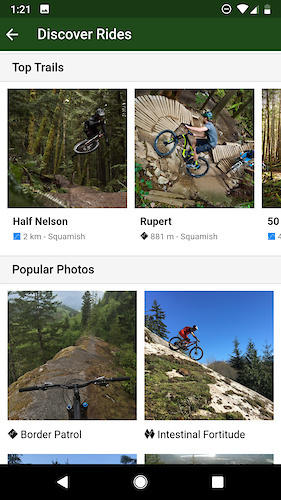 mtb project feels like a rehashed version of all the other ____ project apps. I still uae mtb project more than trailforks, especially wheb introducing newer riders to these apps. Thst being said, trailforks is an extremely valuable tool and im glad it exists. I appreciate this updated list, there are some swriously cool features here. Thank you Trailforks crew! Around 50% of my annual riding is outside of my immediate home zone, and to say that Trailforks has been a game-changer is a huge understatement. The concern with finding the best trails and/or navigating them in a new locale used to be desperate or frustrating. Trailforks made this skip straight through "non-issue" and on to "sheer confidence". I can just bring my gear and bike or rent one, and jump right into a fantastic ride. Additionally, huge thanks for this level of transparency on the fixes, changes, and upgrades. I can already envision how I can make my use of the app better with a few adaptations on my part to take advantage of the new features. My sincere thanks to all of the Trailforks team! Thanks again Trailforks! Such an exceptional piece of software we should all be thankful for. Thank you so much! As a planner, builder and trail advocate, Trailforks has changed the way I work. I never host a community stakeholder presentation without mentioning Trailforks, never write a trail masterplan without a section on Trailforks. As a rider and traveller it has changed the way I road trip. I highly appreciate the constant effort you invest in raising the standard. A huge "Thanks" from the Cariboo Mountain Bike Consortium for all your help and support! Pinkbike, thank you for all that you do for us. You've changed this industry, and we all owe you one. Is there a way I could map out and then share a hidden trail with others but not have it show up to the general public? It s much be better than the blank faces you get when trying to explain where the trailhead is. You know, take a left at the tree, ride around that rock and look for some dirt to the left and you’re there! hidden trails and the permissions systems on Trailforks is really setup on a per-region basis for local trail association use, not individuals. That said it is possible. You can mark a trail hidden then a "password" field is revealed. Then you can share the trail URL with a friend and they can enter the password to view. This is only for the website though. The app only syncs on a per-region basis if you have permission to view hidden trails in that region. The passworded trail feature is more for builders or race organizers to get a land manager or something like that to review a trail. any chance we'll see addition of a category for hiking trails? I still feel like this platform has so much potential beyond just mountain bike trails, especially in tourist areas with lots of other recreation trails that would allow for all trail users to see all local trails regardless of user type. Yes, I know this can be done with things like adding "hiking only" to titles and whatnot, but it's really not sufficient, and feels like a stopgap. regardless, keep on making it awesome, it's a really good platform, and has so much more potential moving forward! @canadaka: Def. agree - again, weirdos in Vermont have a lot of hiking-only trails in proximity to MTB trails that we have to try and keep people off (most of them aren't super fun to ride anyway, not that I'd know). Having the hiking trail option just for a management perspective would be useful. We're currently showing some stuff as 'Access Road / Trail' but it doesn't explicitly call it out as Hiking only. Anyway - we're appreciative of the platform as it currently is and this little change would make something great even better. @canadaka: I use trailforks for hiking already, beat the hell out of hiking apps like all trails. I only know of trailforks from my love of mountain biking of course ???? 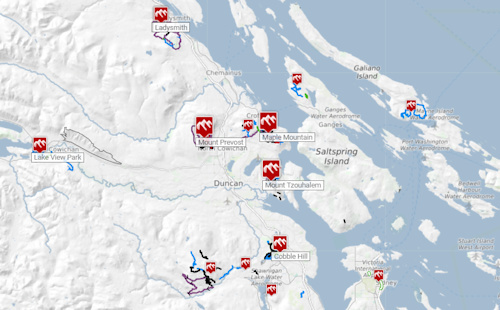 @canadaka: I already send hikers to this app so they can find the local trails...adding a hiking only part to the app would be awesome. Thanks for this, esp. the update concerning trail status updates needing to be approved by moderators. Vermont is a bit of weird little corner of the country for that feature, but on our public lands we kind of have to have it. We asked. You listened. Thanks! It would be cool if there was a "ride with a local" button when searching an area and then it can put out a notification/profile so you can help show you the way around somewhere new. I don't using have a problem askng to tag along in a parking lot, but an app to request a trail meetup would be super cool. I've got an issue with a trail that shows up in the search on the app, but says the region isn't downloaded, but it is. Xanadu in Washington and a few others in the area will bring up the message. This is kinda an app bug where your search database is not synced. The Xanadu trail along with others in that area were removed by the locals, as they are technically illegal I guess. @fodermonk : For now they are. They are hidden at the request of the USFS. The intent is that these will be legalized and visible on Trailforks in the future. 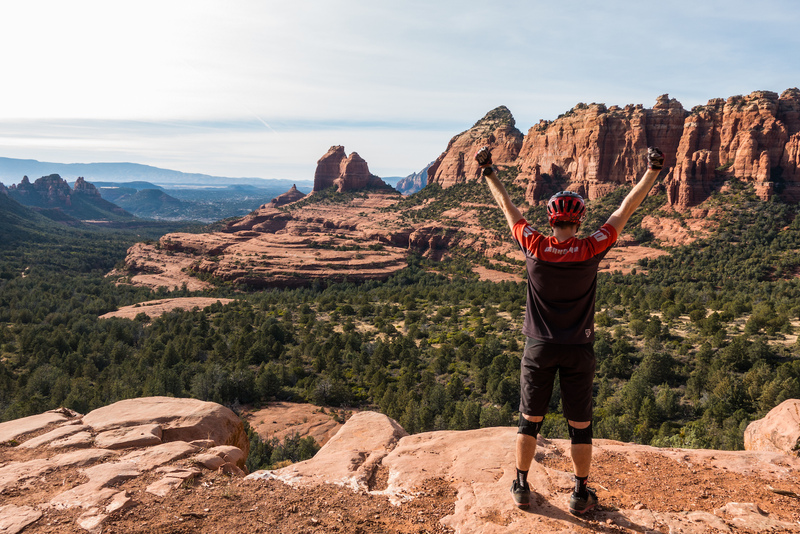 Be sure to support Evergreen Mountain Bike Alliance! Single most useful app on my phone. It makes our travels MUCH easier and enjoyable. Thanks! See you on the trails next spring ???? Thanks for all your work! Having it work with the Garmin has changed how I ride. I constantly explore new terrain now without fear of getting caught out there. Big thanks to the Trailforks dev team (and every one of you/us that contributes to the data). 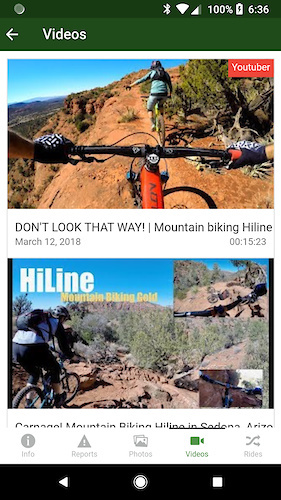 Used extensively (again) during our recent 3 week roadtrip to the states and its fantastic to blind visit anywhere and get accurate and consistent trail and route info along with shop locations and more in one easy to use app. Is there a way of saving the basemaps to a device? 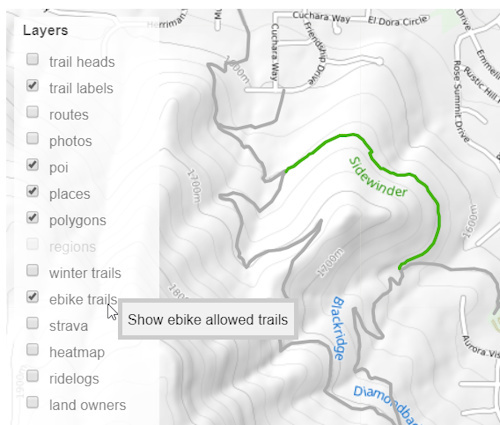 For example, I've downloaded the entire state database of trails, but maybe I want to Trailforks completely offline for a ride and still be able to see the surrounding terrain or aerial imagery. I posted this on another comment: "We've been working on the pieces to make this happen this year. Hopefully will be ready for the 2019 riding season (spring).". But that is just for a version of our custom topo map, but aerial imagery. That is not currently on our todo list, first step is getting the topo basemap. Did you guys consider opening up the code base to open source contributions? I am sure there will be plenty of people willing to put in some work to fix bugs or help with features. The AP is great on my iphone by my early model iPad keeps reloading the page and calibrating. Turned background updates of and tried turning GPS off but it keeps doing it. Super annoying. Can't file trouble ticket through the app because it reloads before I can complete the process. For travelling I've found Trailforks and the Ride Finder/Discover Rides function to be invaluable. 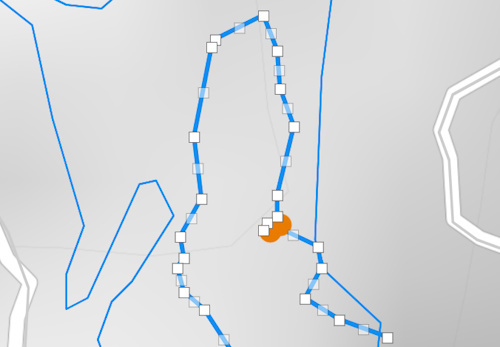 That being said, I think it would be very useful if there were mile markers or directional arrows on the highlighted route to help understand where to go; I went the wrong way on a figure 8 ride and added a few hundred extra feet of climbing. Other than that, thank you for providing such a great resource to the community! Ooh, nice one regarding auto-wrong-direction detection! Slim Shady in Sedona is always clogged up with Trailforksers going the wrong way. Omgggg thank you so muchhhh. Trailforks is much better than MTB project for the South Dakota Black Hills, but it's been feeling like it needs an update. There are many trails where the route doesn't match reality and I have been trying to update the routes by adding explanations in the comments. Maybe the GPS hotspots showing the routes people actually take will help the admins here. @todd: Yes exactly it's the trails around the "bone collector" trail that have a few issues. Amazing thank you!! When browsing by map as I scroll the map around (think zoomed out to cross an entire country) my browser goes into spaztic convulsions. I have to turn off the auto refresh for it to be usable at all. Once I'm zeroed into a specific area it works well. My suggestion is to maybe add a slight 1-2 second delay for the resfresh when the map is moving around and only refresh once the map is static for a couple seconds? The map definitely can get slow, depending on the speed of your computer, when you start to zoom out and pan around. Probably this winter the web map is going to see a refresh, possibly a complete code rewrite. As we've learned a lot about how to create the maps better over the years. 900 commits!! Can anyone contribute to the repo? @canadaka: that's fair enough, us full mavericks can't be trusted! I friggin LOVE Trailforks! Seriously friggin love it! Amazing work and THANK YOU ! 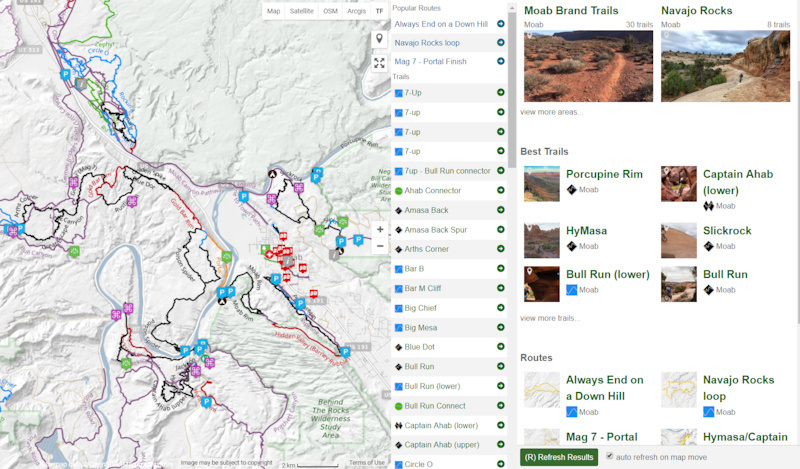 The next evolution of trail maps and the overall experience for riders and builders. I can't say enough good things about Trailforks, in my opinion the best source of beta out there. Thank you! Would love to see an Apple Watch version of the app! Would be amazing to just have to look at my wrist in a new area at trail junctions... Is that planned? I'm continuously impressed with the updates and support the TF organization demonstrates. Still just wish the trail profile was colored in order to show grade steepness like they do on MTB project. Hmmm... that could be a nice overlay option much like the "popularity" setting in the app. 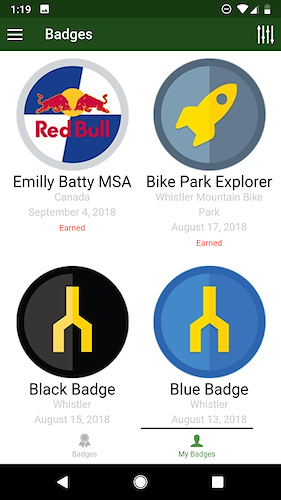 How is it possible to create a new "Badge"? Or how to receive a "Badge" at the Europe region? Awesome! Love your work Trailforks peeps. Would be nice if trail direction was shown on the map instead of having to select the trail. When you mouse-over a trail on the map, it does show arrows of the defined direction. Trevor, ill be applying for the PB internship if you need some help! I don't have a data plan on my Android phone...why don't I see trail names? Do I need Data or just GPS only? 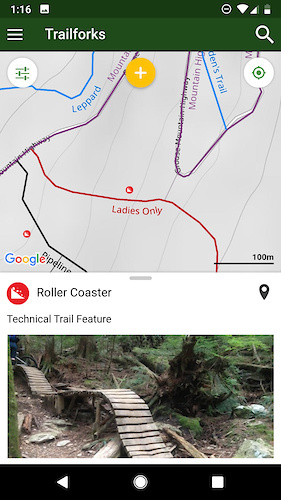 Currently the trail names on the map are shown using map tile images, which only work while offline. That is something we are actively working on improving. Thank you Trailforks team! Love your work, and use it very often. Keep this up! I like this app, thanks for making it better. One day ill figure out how to add trails. @canadaka: thanks ill check it out. Now that's an UPDATE! BOOM! Sweet updates! Now when are you guys coming out with a garmin fenix 5 app? And yet in your hometown you don't have the background showing land ownership layers? We don't have the resources to source and input the land ownership boundary polygon data for the entire world. It's added on a per-request basis. We do the major national US land owners and BC ones like BC parks (which itself has a lot of work to source and merge all that data). Everything else is manual per-request. 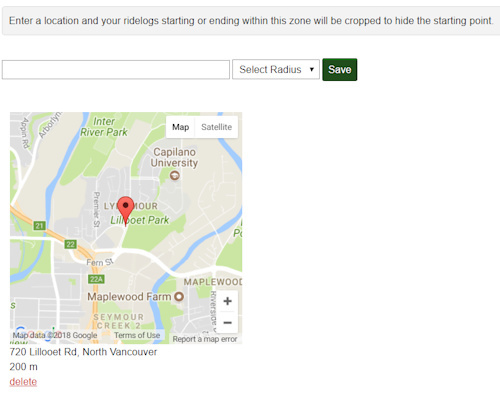 For Example 'District of Squamish' border is displayed. 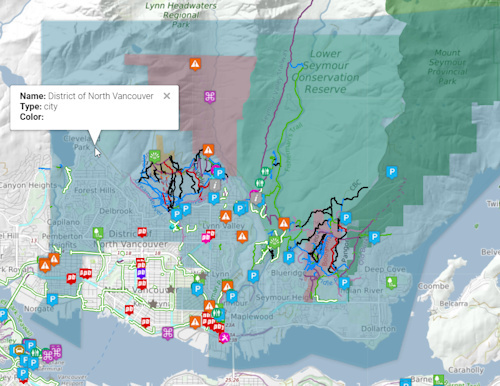 'District of North Vancouver', 'Lynn Headwaters Regional Headwaters', 'Lower Seymour Conservation Reserve', 'CHMC' have all been added locally. I read all of this ???? Is it available in Portugal?is it ? 617 trails mapped in Portugal. Yes bro. But most trails still need to be added. Can it be used as turn by turn navigation to get to the trail? I had played around with it, but couldn't get it working reliably, so left it. We instead worked on integration with Garmin Edges devices which offer great turn directions.